Always wanted to try Citrus Lane? Right now is the time to JOIN!!! 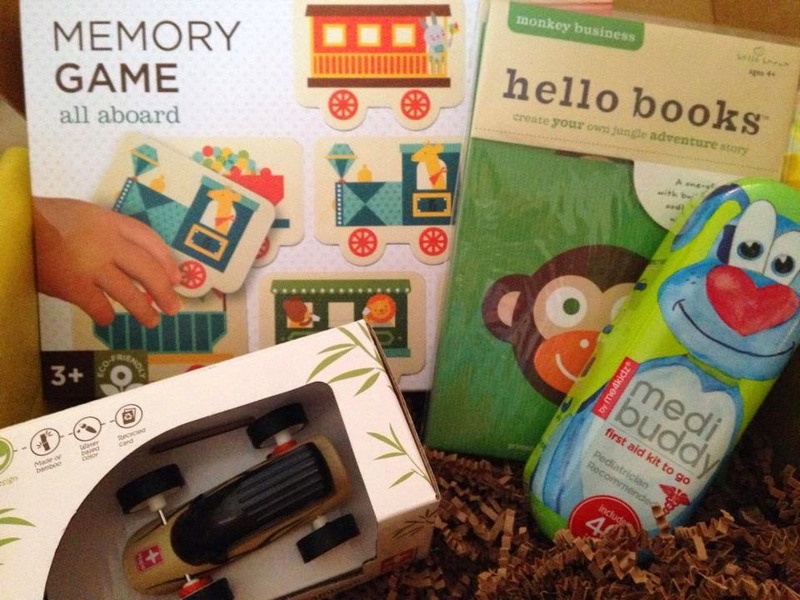 Click HERE and use code BABYCENTERFT to get your first box FREE!!!! 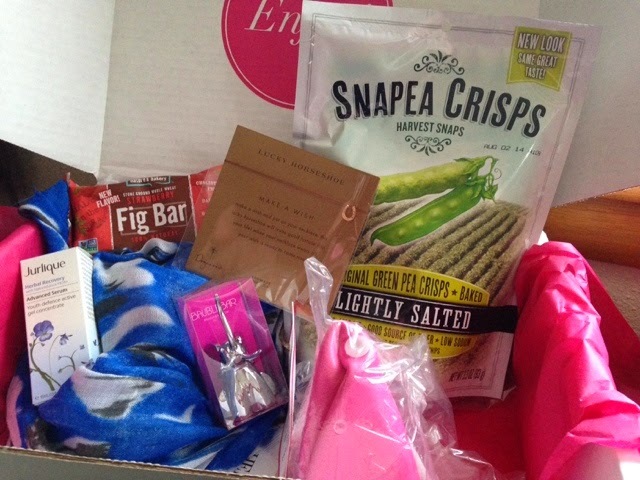 This is last month's fabulous box! The code is good for any new account/ new customer! What a great way yo try them out! We love family game night, and our of our favorite games is Scrabble! The great thing about Scrabble is it encourages kids to spell their own words, enhancing their vocabulary AND spelling. We usually play in teams, and there are all new "Team Play" instructions in the newest version of Scrabble. There are also fun additions like Power Tiles, but if you want you can still play the traditional game! Did you know that Hasbro offers a Scrabble School Program. This is a great way for your entire school to get involved in Scrabble and start learning even more with words and fun! 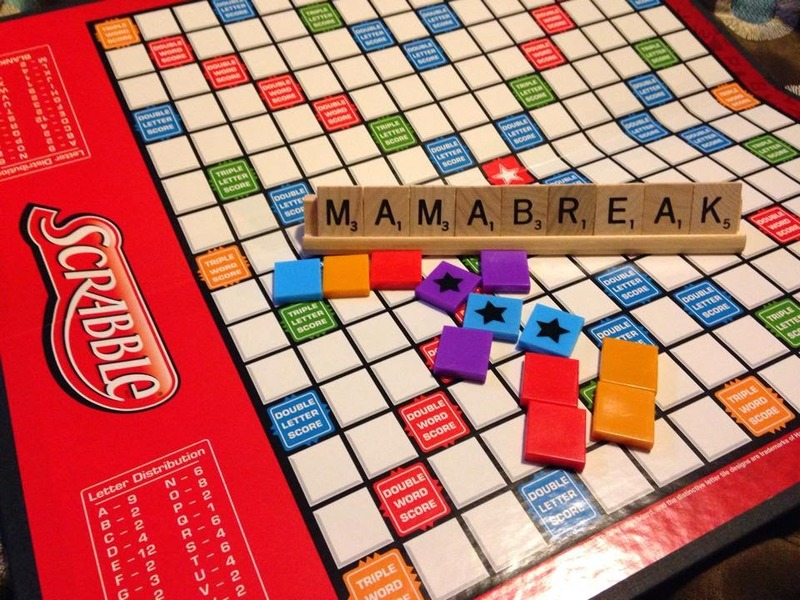 Check out: http://www.hasbro.com/scrabble/en_US/discover/school.cfm for more information on how to play and visit: https://www.schoolscrabble.us/ to learn how to sign up YOUR school. Feeling lucky? Take your chance at hitting the jackpot with the ModCloth Stylish Surprise sale; You can nab a mystery item for only $10. You could win a $500 frock! But you better shop early, these stylish steals are only around while supplies last and that will not be long! This post may contain affiliate or referral links. We only recommend products we think our readers will love! As always, our experiences and opinions are our own! As many of you may remember, I signed up for 1 month of Escape Monthly through Plum District a few weeks ago, and my first box arrived!!! I paid a total of $20 for my first box. The box is regularly $49.95, but use the coupon code MYESCAPE to get all of your boxes for 20% off (making it $39.95). 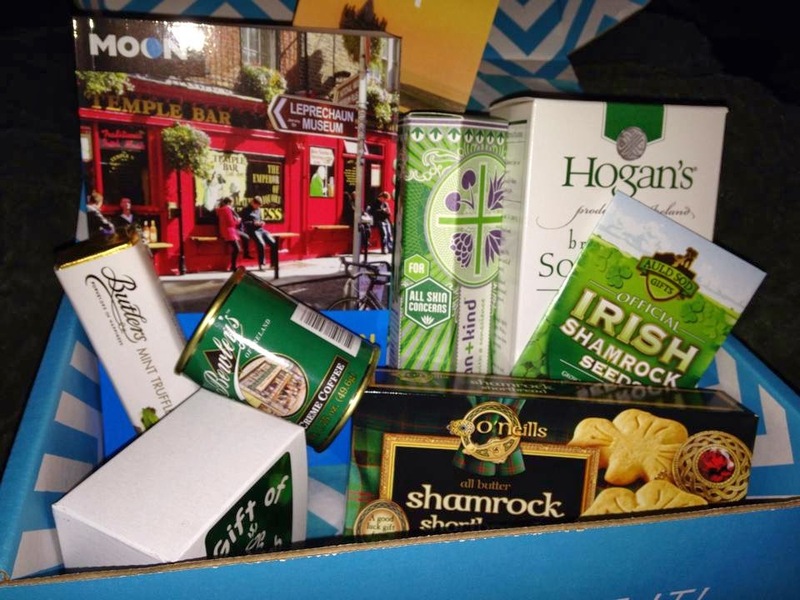 This month, the destination was on Ireland! Since this is on my list of top places to visit, I was really excited to receive it! Total value: $68.49. That is a great value for the $20 price I paid, but even at the regular $39.95 rate each month (with coupon code MYESCAPE), it is a great deal! Next month is MEXICO!!! We cannot wait! This post may contain affiliate or referral links. We only recommend products we think our readers will enjoy. As always, our experiences and opinions are our own! Total value:$144.59. This is an AMAZING value for PopSugar MustHave which only costs $39.95 a month!!!! Use code MARCH10 to save $10 off of your first box!!! The links in this may be referral and/ or affiliate links. We only recommend products we think our readers will enjoy. As always, our experiences and opinions are our own. 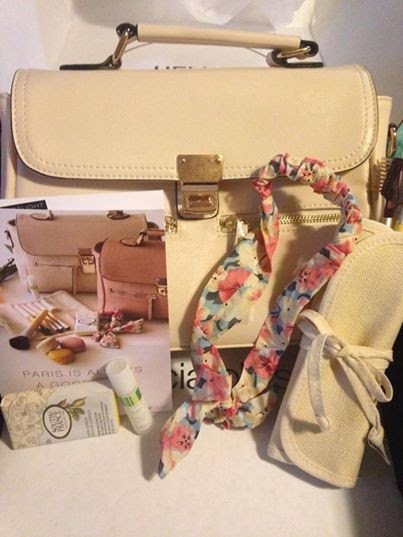 Make sure to check out tons of goodies this week just waiting to be discovered! How about a delicious recipe for dinner, or read about a mom-owned business under interview! There is so much to see and do on MamaBreak! Are you ready for cuteness overload? We LOVE this month's case! Very cute, and the kids are in love with it! I don't know that it gets cuter than that! I love it! 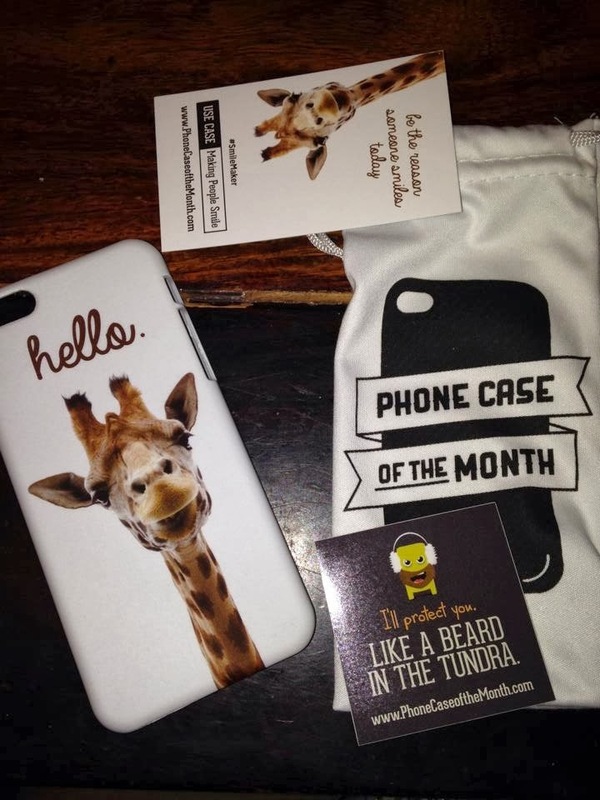 Phone case of the month is just $10 a month and you get an adorable case, a fun sticker, and a nice storage pouch! BUT if you click HERE, you will get your first case for only $5!!!! The links above may be referral or affiliate links. We only recommend products and sites we think our readers will love. As always, our opinions and experiences are our own. Are you trying to incorporate more fruits and vegetables into your diet? It is hard to stock up on fruits and vegetables because fresh produce can be very expensive! Bountiful Baskets just started in our small town, and we are so in love with it! 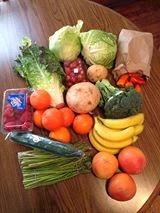 This was our basket from this past week. It is 50% fruits and 50% vegetables (making it 100% delicious!). My kids love getting basket because it means fresh fruit. It makes snack time much easier when you can go into your fridge and pick up something delicious and nutritious! They have wonderful add-ons each week too! We have purchased the bread, wraps, and many others (including splitting an 8-pack of strawberries with a friend-- and the kids have almost finished them already). The contributions open at noon on the Monday before you pick up your produce (which is generally on Saturday). The sign-up lasts until Tuesday at noon, but our own sign-up was only open for 45 minutes before it sold out! Each basket is only $15! You never know what you will get specifically, but it will always be 50% fruit and 50% vegetables. There is also an organic basket for $25. There is a $5.50 handling fee that is added to your total, no matter how much you add. In the end, it is a wonderful way to stock your fridge every 2 weeks, and to keep healthy foods in the house! If you do not have a location, I would encourage you to start one! It's Monday and that means another interview with a mompreneuer! This week are are talking to Anna, the owner and founder of Silly Rhino. 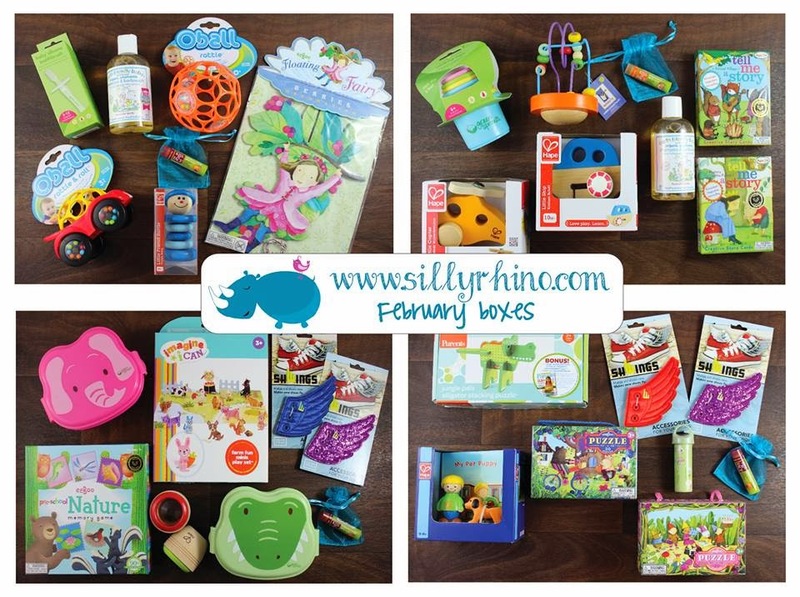 Silly Rhino is one of the newest and hottest kids' subscription boxes out there!! !For only $33.99, this box is a wonderful value each month! 1. What inspired you to start Silly Rhino? As soon as I had my first child, I knew I wanted the safest, high quality and, at the same time, fun toys and things surrounding him. We have always tried to be an eco-friendly household, but more so after we had children. My husband and I live in a typical medium sized town in Louisiana together with our boys - Luka, who is 3.5 years old and Sergi, who is 2. Most shopping here is done at a few typical big-box stores, found in every town in America and sometimes I did not feel that I could find a good selection of such safe and high quality things for my sons. I am a researcher by nature. Before any important decision, trip or purchase, I put in hours of research until I feel comfortable that I know enough. So, naturally, when it came to my children, my researcher nature went into overdrive - after I put children to bed, I spent my nights online, exploring number of web-sites, weeding through all the choices and reading countless reviews. I felt that this might be overwhelming for new parents, who are sleep deprived, don't have enough time and energy to do all this research, but still want safe, well-built and cool toys, gear and other things for their children, all while getting a good value. So I decided to create a service for parents - they can enjoy their time with their kids while we do all the work for them, and they can be assured that once a month they will receive a curated selection of trusted, quality products that are fun for kids. We strive to introduce families to brands that are not widely available at their local stores, we are a discovery service after all. I will be honest - it is not easy. Running a successful business is rewarding in all aspects, but it takes long hours and a firm commitment. I feel like a good support system is paramount and my husband has been my rock in this endeavor (I cannot go without mentioning his mad graphic skills here, all the informational cards included in each box that everybody likes so much are his handy work). My children are also so helpful in market research, they make excellent critics. So, when we are trying out a test toy, or reading a book together to see if it might be a good fit for our subscribers, it does not feel like I am working. I am spending fun time with my boys, all while, unbeknownst to them, putting together kid-tested boxes. Shhh, don't tell them, or they might demand a salary. Set a goal and commit to it. There will be people every single day who tell you that you can't do it, or other days it will feel like some obstacles are impossible to overcome. Put it in perspective - if that obstacle is the worst thing that ever happened to you in your entire life, wouldn't you still be a lucky person? See, when you look at it that way, doesn't feel so grim after all, does it? My children are my inspiration every single day. When I'm overwhelmed, upset or tired, all I have to do is think about them, it takes just a fraction of a second - I remember a tone of their voice, or an expression on their faces from that morning, and it helps me concentrate on a big picture. After all, everything I do is all for them. 5. Where did the name Silly Rhino come from? My husband and I lovingly called Luka our “silly monkey” from the day he was born. He quietly waited and waited, plotting his revenge. One day, when he could take no more, he surprised us and, all of a sudden, blurted out in response, “no, silly mama rhino”, followed by all the animals he could list. Well, he could barely speak at that point and, obviously, rhino is not one of the first choice words for toddlers, but from that day on, “silly rhino” became his favorite phrase and he bestowed that honor only onto the very special, select people. ​​ Silly Rhino subscription box service holds that very special place in my heart, so it is only fitting that it carries the name. 6. Is there any exciting news about your business that you want to share? Absolutely! We try to bring new and exciting things to our subscribers all the time. I am so happy to say that your blog readers are first to find out that Silly Rhino will offer baby shower boxes in the very near future. 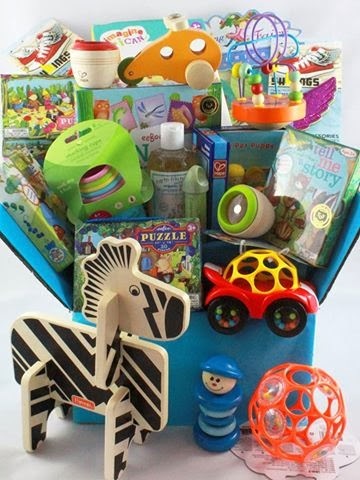 It will be full of exceptional and unique items, and anybody will be proud to gift the box to a mommy-to-be in their lives. We promise nobody will have anything like it at the baby shower! Sign up by March 5th at Midnight to get this month's box!!! Use code silly10 to save 10% off of your first month! In honor of the Academy Awards, Living Social has a $5 coupon code right now!Just click through and use the code REDCARPET5!!!! CODE HAS EXPIRED!!!! Amazing Deal on Escape Monthly -- Coupon Code included!!!! Plum district is featuring Escape Monthly right now on their site. The best part? 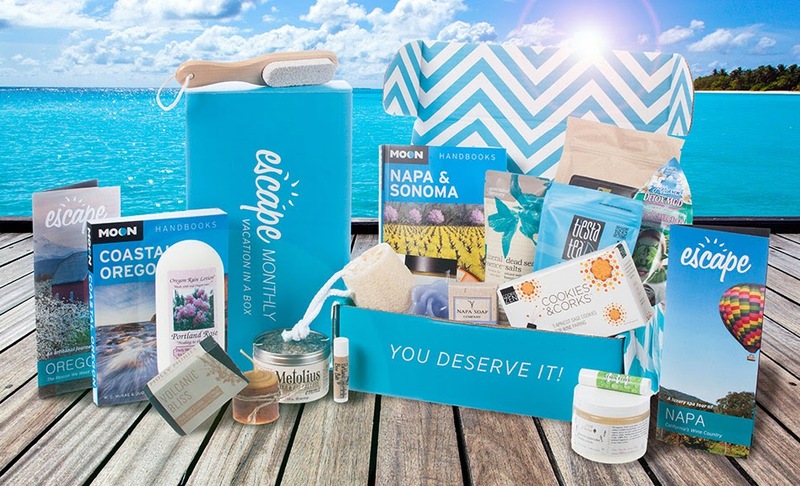 Use code MEMBER20 to save an additional $5, making your first box only $20!!!! It is freezing outside, so I NEEDED something to cheer me up, and an escape seemed to be just the thing I needed! Treat yourself to luxurious, worldwide experiences - without airfare! Boxes also include offers for resorts, spas, and travel - plus travel guides and secret tips - for when you do decide to take a vacation! Each month, one lucky member will also win Vacation of the Month - including airfare and accommodations (up to $1,000)! Click here to purchase your own first box for only $20. 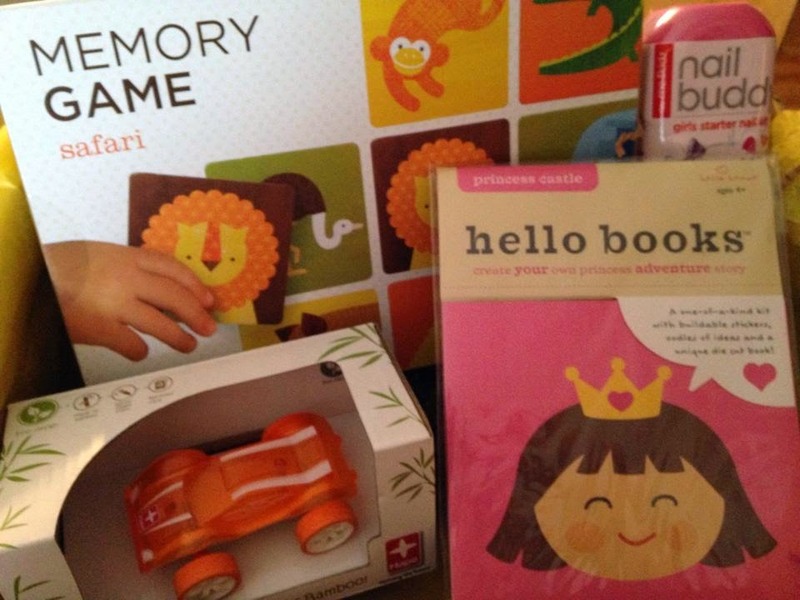 We purchased ours and redeemed, so we are excited to get the March box! This post may contain affiliate or referral links. We only recommend things we think our readers will love. As always, our experiences and opinions are our own.